Spring tutorials for polymer clay are fun, colorful, and will lighten any rainy day! Many of these tutorials can be done in a few short hours, to just a few minutes! 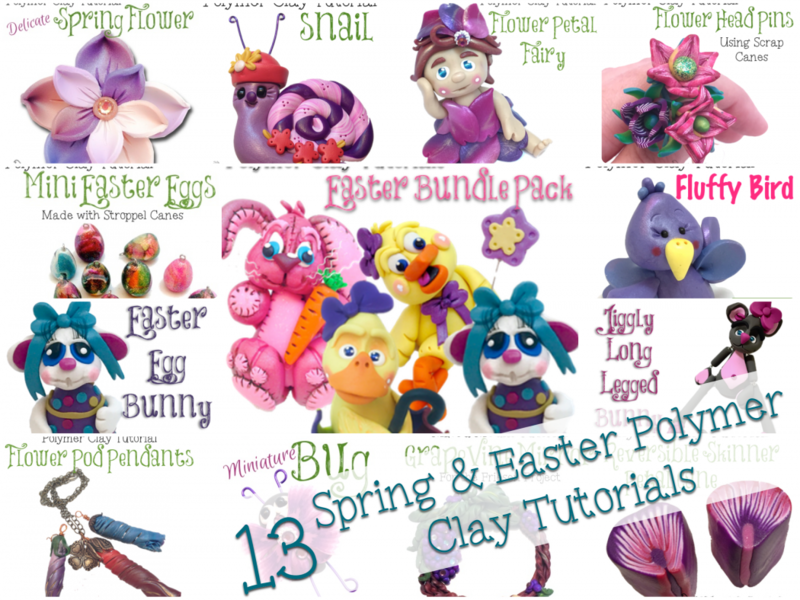 I’ve gathered some of the most popular spring tutorials from polymer clay (and Easter too) from here on the site and put them all in one place just for you. I know, I know … you’re welcome. So feel free to click on all the links below and go straight to the tutorials of your choice. *This project is a “Vault” project. It has been re-released for a limited time and offered at a special price. It will disappear on April 15th. Please take advantage of this special offer while it lasts. **This Bundle pack is also a current special for the holiday season. It’s special offer will also be discontinued on April 15th. Please take advantage of this offer while it lasts.